The producers of Godspell – In Concert have launched a nationwide search for choirs to appear on the professional stage, with a West End cast led by Musical Director Russell Scott. The production will be at St George’s Hall in Bradford, West Yorkshire in June 2015. Godspell, Wicked composer Stephen Schwartz’ legendary rock musical is back. Following the enormous success of 2014’s gala performance at London’s Shaftesbury Avenue’s Lyric Theatre, in support of the charity Make-A-Wish-Foundation®UK, Godspell - In Concert is set to tour the UK in 2015, opening at the Hackney Empire on the 4 April. The show’s producers have launched an exciting search, as for the first time in British theatre history fully formed choirs from all over the country are being given the opportunity to take part in a professional touring musical production direct from the West End. This exciting opportunity to perform on the professional stage will see choirs chosen to perform at a local venue across the country (where possible) as part of the ensemble cast. For West Yorkshire, this will be St George’s Hall in Bradford. Working with a West End cast and creative team, each choir will be coached to their moment in the spotlight. Choirs will sing some of the most popular songs from the show, on the stage of some of the UK’s most prestigious venues - accompanied by the fantastic Godspell - In Concert band. Producers are looking for mixed-voice SATB (Soprano, Alto, Tenor, Bass) choirs with an excellent musical and performance standard and choir members must be a minimum of 16 years of age. Choirs at each performance venue will be comprised of 28 singers. Half the choir will be static and the other half will ‘move’ (not dance) and will be directed by a choreographer. Four dedicated West End performers will make each choir’s number up to 32 and either one choir in total or two choirs will be cast for each venue. Each choir will receive the expert tutelage of Musical Director Russell Scott who is at the helm of the show’s spectacular new orchestration. Russell has worked in the music industry, professionally, for over 30 years working in the worlds of Classical and Musical Theatre. He is not only an accomplished singer, but also a Vocal Coach, Producer, Musical and Choral Director. As a performer, he has performed all over the world, as a soloist with leading choirs and orchestras. With over 100,000 record sales across his four solo albums, he’s also appeared on countless film soundtracks, opera, pop and musical theatre recordings. Russell is Chorus Director of Next Stage Choir and works regularly with choirs and ensembles. “I have been working with choirs and ensembles for almost 15 years, varying in ages and standards. The great thing about singing is it makes people feel good and can change your mood in an instant. I am so thrilled choirs have been brought more into the public domain in recent years. Choirs are for everyone and I am passionate about working with them and bringing out their best. I wanted to bring a choral element to Godspell and so reworked the score which is essentially written for 10 principles. I re-orchestrated the ensemble parts to encompass a choir and the result sounded incredible, bringing out the true soul of the piece. There are some great songs to sing and the addition of a choir just makes the sound even more exciting to listen to. The application process is simple – choirs can visit the show website www.godspellinconcert.com and apply online. The closing date for applications is Friday 9 January and after this date shortlisted choirs will be invited to one of six regional auditions. The UK tour will feature a brand new, modern-day rock score packed to the heavens with favourites such as Light of the World, All Good Gifts and Day by Day. This timeless tale of friendship, loyalty and love has touched the hearts of countless theatregoers all over the world - and now UK theatre fans can join in the celebration as a spectacular ensemble is set to stir souls and raise spirits, aided by a full live band. Prior to the gala earlier this year at the Lyric Theatre the show last played the West End in 1972 at the Wyndham’s Theatre, where it turned David Essex into an overnight sensation. More recently Godspell has enjoyed a hugely successful run on Broadway. By permission of Stephen Schwartz - the Grammy® and Academy Award®- winning composer of Wicked and Pippin - Russell Scott and Mark Pettitt for Godspell in Concert UK Ltd will produce the 12 week UK tour. Kenneth Avery-Clark directs the production which was critically lauded at its London performance. 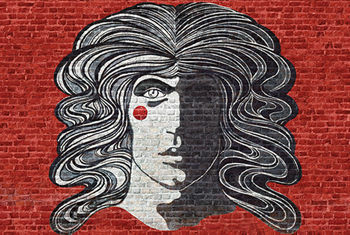 Godspell – In Concert is atSt George’s Hall on Saturday 20 June – 2.30pm and 7.30pm.